We have put together an INTERNET ONLY special to make ordering easy and take the guesswork out of ordering if you're trying our products for the first time. 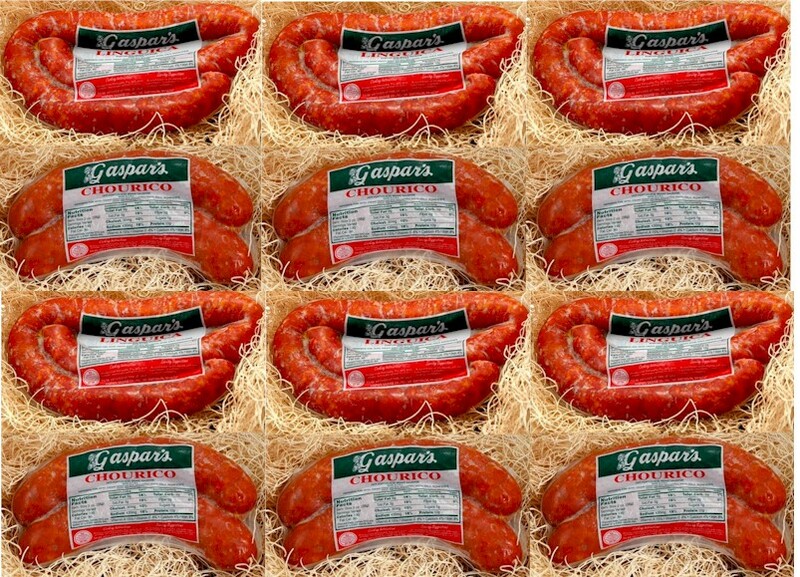 Gaspar's 50/50 Gift Pack includes a combination of 12 pounds (approximate weight) of mouthwatering Gaspar's linguica and Chourico. Your order will contain half linguica (6 pounds) and half chourico (6 pounds).